The messages that we send with our voice are known as paralanguage. 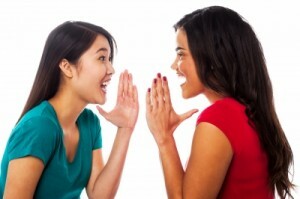 Often it is not what we say but how we say it that determines an interaction’s outcome. Our vocal paralanguage is composed of all cues different from the words we use: pronunciation, accent, fluency, emotion, charisma, sarcasm, contempt, deference, truth or deception etc. Vocal paralanguage is extremely subtle, but the clues in our voices are clear and legible. This makes vocal paralanguage one of the most powerful ‘channels’ of nonverbal communication. The expression “O.K” convey different meanings depending on whether it is spoken sincerely or sarcastically, and our interpretation influences how we respond to the person who said it. The tone of our voice can help us communicate what we mean or it can reveal thoughts we intend to conceal. The sound of our voice is revealing to others our emotional state, attitudes, personality, status, and interaction maintenance, or turn-taking, needs. How we speak influences how others interpret our intentions, as well as how credible, intelligent, or attractive they judge us to be. The paralanguage’s characteristics are: pitch, volume, rate, articulation, pronunciation, hesitations, and silence. Each plays an important role in the impressions others form of us. Pitch is the highness or lowness of the voice. It is controlled by our breath and the tension of the vocal cords as they open and close to create sound. This tension restricts the airflow and creates vibration. Higher pitches are associated with female voices and lower pitches with male voices. We perceive low-pitched voices with strength, sexiness, and maturity, and high-pitched voices with helplessness, tension, and nervousness. Everyone of us has a modal or habitual pitch—one that we use most frequently when we speak—we also vary our pitch to reflect our mood and interest in conversing. We lower our pitch when we are sad and raise it when we are excited. Animated pitch encourages somebody to keep talking, while a monotone speech discourages it. Our pitch expresses our emotional state; for instance, it can communicate anger or annoyance, patience or tolerance. Generally speaking, listeners prefer a loud voice to a soft one. However, both can be useful. A loud voice is authoritative and attention getting, but at the same time, can be perceived as aggressive. A soft voice can reflect calm self-assurance, but also timidity. Either, however, can become a distraction if used excessively or with the wrong intent. Our volume should reflect the nature of our message, the size and acoustics of the space we are in, our proximity to the other person, and any competing noise or conversations. We use to increase volume to stress particular words and ideas and to reflect the intensity of our emotions. Similarly, a sudden decrease in volume can add suspense or sustain another’s attention. Volume that is varied is most effective. Listeners prefer a slightly faster pace to a slower pace. However, rapid speech can signal impatience, nervousness and insecurity. Slower speech, on the other hand, is useful for making an important point. Speakers who vary their pace and use pauses keep their listeners more engaged. Most of us speak at an average rate of 150 words per minute. When we exceed 275 to 300 words per minute, it is difficult for others to comprehend what we are saying. In contrast, if we speak too slowly, others may perceive us as timid or lacking intelligence. An overly deliberate speaking pace contributes to boredom, lack of attentiveness, and unresponsiveness in others. As our rate increases, so do assessments of our level of emotional intensity. When talking about more serious subjects, we often slow down; on the other hand, our speaking rate usually accelerates as we shift to talking about lighter topics. A flat tone can indicate boredom, anger, or apprehension. A quick tone reflects agitation, excitement, and happiness, a low tone shows seriousness, serenity, or sadness. The sound attributes of articulation and pronunciation affect message intelligibility as well as perceptions of credibility. Articulation is the way we pronounce individual sounds. Ideally, the sounds of our speech are sharp and distinct.When we fail to utter a final sound (a final t or d, for example), fail to produce the sounds of words properly, or voice a sound in an unclear, imprecise way (come wimme versus come with me, dem versus them, idear versus idea), perceptions of our credibility drop. When we mispronounce a word, we may suffer a loss of credibility, and those listening to us may find it more difficult to make sense of what we are saying. Mumbling often indicates a lack of confidence. A speaker who mumbles chronically should practice enunciation every day and in combination with effective volume, pace, and tone. Knowing when to pause is a critical skill. When nervous or tense, we may exhibit a tendency to fill all pauses, often by inserting meaningless sounds or phrases such as uh, you know, or okay in the effort to fill voids. These phenomena disrupt the natural flow of speech and adversely affect how others perceive our competence and confidence. In addition to slowing the rate of speech and emphasizing key ideas, brief periods of silence or pauses give us a chance to gather our thoughts. Sustained pauses allow us to give another the “silent treatment,” a means by which we ignore a person, saying to him or her without using words, “I don’t care about you, you don’t exist for me.” We also tend to become silent during moments of extreme anxiety or annoyance. How to be aware of the sound of your voice. Record your voice on a recording device, play it back, and look for patterns or extremes. When speaking, examine your voice along with your body language to see how they match up. This entry was posted on Wednesday, May 14th, 2014 at 3:53 pm	and is filed under Psychology, Relationships, Self awareness. You can follow any responses to this entry through the RSS 2.0 feed. You can leave a response, or trackback from your own site.